Earlier this week, in a beautiful garden in Woodside, Calif., the team at the five-year-old seed-stage venture firm Pear hosted its fifth annual demo day. 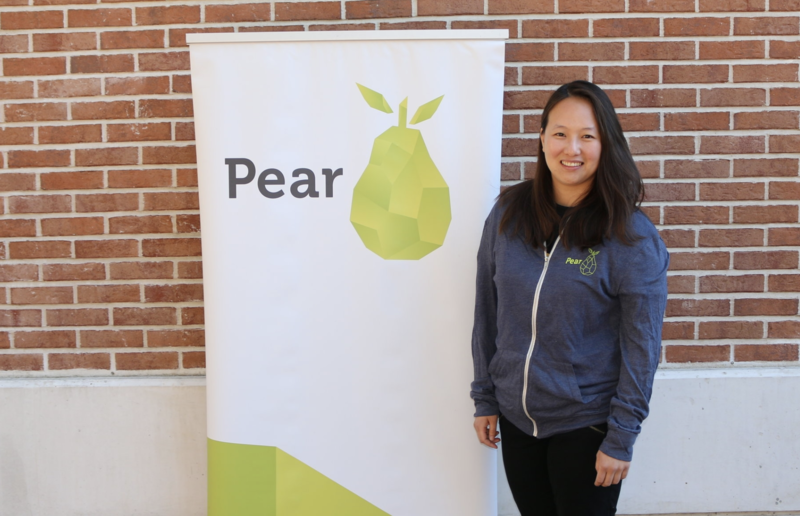 It’s an event that’s limited to roughly 100 VCs who year after year happily fill the space to see what Pear — which has written early checks to the “unicorn” delivery service DoorDash and newly public Guardant Health, among others — has up its sleeve. 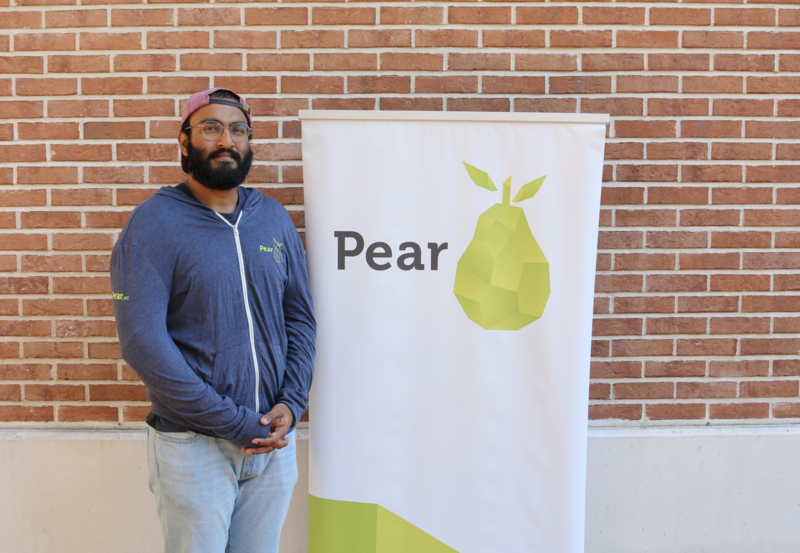 As with last year, what those investors wound up seeing on Tuesday was 15 teams, most of them six months old or younger and led by current students or recent graduates who’d been invited by Pear to build companies over 10 weeks in its Palo Alto offices. These ranged from a startup with ambitious plans to build a new commercial space station, to a machine learning-powered cloud video platform that makes it far easier to edit video clips, to a startup that uses AI to negotiate salary discussions on behalf of its clients. But in a bit of a twist this time around, Pear also featured a sprinkling of young companies that are now ready for Series A funding, including a solar design and sales platform for residential and commercial photovoltaic systems, and a company that thinks its checkout-free shopping technology could help all kinds of Amazon rivals compete with the giant’s growing number of surveillance-powered, no-checkout convenience stores. Location: San Mateo, California and Houston, Texas. Metrics: Twenty-six space tourists have agreed to put $80,000 each to be on the waitlist; 1,578 media outlets worldwide have covered Orion Span; and four partners are signed with three more on the way. Team: Orion Span includes some of the folks who built the International Space Station. Its CEO is a marketer and entrepreneur with a few startups under his belt. Its architect designed the ISS Enterprise module. Its CTO designed and built spacecraft systems for the ISS, and its COO oversaw the build of NASA Orion spacecraft as a former general manager. Describes itself as: Young Alfred turns the nightmare experience of shopping for home insurance online into an informed, 15-minute transaction. As a customer, you get your top three curated home insurance options from a list of more than 20 carriers and can purchase with just one click. A marketplace model drives transparency, saves money and leads to five times higher purchase conversion than a single-carrier model. Team: The founders met during their first week at Wharton Business School. David comes from private equity and has experience acquiring and growing businesses. Jason is an engineer turned high-frequency trader who has built trading systems for the likes of Citadel and DRW. Describes itself as: Aligned Carbon is the first company to sell carbon nanotube wafers in a way that seamlessly fit into the nanofabrication requirements of the integrated circuit industry. The large historical gains in performance due to continued shrinking of silicon transistors are now only realizing marginal improvements with exponentially increasing costs. This has come at a time with the push for faster and lower power computing capabilities that continue to grow rapidly due to AI, AR, big-data analytics and other memory-starved workloads. Monolithic 3D integration is the nanoelectronics industry’s next paradigm for computing and the sequential integration of carbon nanotube logic with traditional silicon logic and memory is the leading technology. Performance and efficiency improvements of over 1,000x are anticipated, and Aligned Carbon’s products solve the carbon nanotube materials problem to revolutionize a $500 billion industry. Metrics: Aligned Carbon has worked with more than a dozen companies and universities while developing their unique carbon nanotube products of interest to the largest chip manufacturers in the world. Team: Co-founded in 2018 by J Provine, Greg Pitner and Cara Beasley, three Stanford scientists who met over a shared love for nanotechnology. Collectively they have over 35 years of nanofabrication research experience with universities, startups and corporate giants. Metrics: Mirra’s first product is a weekly skincare newsletter that has grown exponentially without ad spend. Now, after listening to the holes in its readers’ routines, Mirra is launching its own exclusive line of skincare products next year. Team: Mirra was founded by Katia Ameri, a 26-year-old Stanford alumna with a background in venture capital and consumer products. Describes itself as: Reduct makes a machine learning-powered cloud video platform that anyone can use. If you can write a text document, you can search, edit and share video with Reduct. 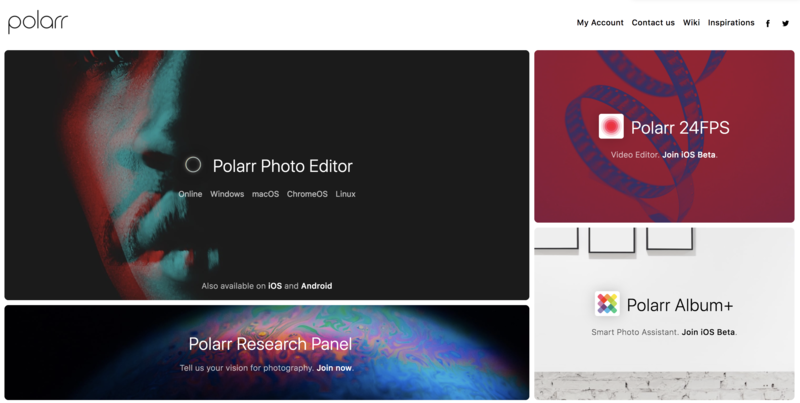 By making tools for video creation accessible to everyone, the company aims to turn everyone’s favorite medium of consumption (the average American watches six hours of video a day) into a ubiquitous mode of communication. The company is currently enabling design and UX research teams to incorporate video into workflows and will create a horizontal product targeting professionals whose profession isn’t video editing. Metrics: Since January, the company has acquired 35 paying business customers, including Fortune 500 companies and several technology companies valued at more than $1 billion. It says it has also processed more than 50,000 minutes of video, and customers report time savings of more than 10 times what they experience when using traditional video tools. Team: CEO Prabhas Pokharel studied computer science at Harvard and product design at Stanford, and has spent the last decade creating human-centered products. CTO Robert Ochshorn is a machine learning researcher who has given talks at Google Brain, Apple and Stanford. He is an alum of Cornell CS, and has held research positions at MIT, Harvard and Alan Kay-initiated CDG Labs. Describes itself as: Zubale connects companies directly with consumers on their smartphones to crowdsource multiple digital tasks in exchange for rewards. Companies can crowdsource tasks like in-store audits, product trial activations and market research studies, and receive real-time intelligence from consumers to make faster and more confident decisions. Consumers complete tasks and earn mobile phone credit and other digital rewards that they can redeem through making online purchases. Team: The founders, Allison Campbell and Sebastian Monroy, have more than 15 years of expertise developing and selling new products to consumers at Walmart and Procter & Gamble. Allison launched and ran businesses for Walmart in India and led strategic initiatives across 25 countries. Sebastian led sales teams for P&G in Mexico and across Latin America to distribute products to reach the millions of mom and pop shops that make up 50 percent of spend. Describes itself as: Riva builds automation to help the 41 million people changing jobs every year — and the 5 million college seniors who graduate — negotiate their job offers. Nearly two-thirds of people do not negotiate their job offers. And research shows that women especially tend to suffer in the negotiation process, furthering the gender pay gap. Riva builds software that can predict an employee’s worth and generate negotiation emails and phone scripts that can be used by the employee to negotiate with the employer. Metrics: The average increase per negotiation is $23,000. The company is already working with several large partners, including schools, engineering communities and nursing associations to get its product to the mass market. Team: CEO Stephanie Young has four degrees from Stanford, including an MBA and graduate degree in computer science. She previously helped launch Google AdWords Express’ first-ever mobile app. Describes itself as: LivingLab is a platform that enables co-living in any rental property, making it easy for professionals to find community in shared housing. Our technology matches individuals to bedrooms in beautiful homes and then configures those properties to include furnishings, Wi-Fi, utilities, housekeeping and community events. We can complete this process in 48 hours. By individually pricing rooms and offering flexible lease lengths, LivingLab is able to collect 30 percent of rent for its services. Team: CEO Mitchel Gorecki, CTO Patrick Wickham and COO Colin Tai. Metrics: The company says its most promising and exciting experiments to date have centered around street wear, high school social products and men’s fashion. Team: Co-founders Akshar Bonu and Sathish Nagappan, among others, have graduated from Harvard, Cornell and Stanford and have been building apps for high schoolers and college students for more than a decade, they say. They have also spent time at Andrew Ng’s AI Lab, Nervana Systems, Amazon, Google and Intel. Describes itself as: More than $200 billion per year is spent on developing solar projects through a fragmented network of solar installers, who work with financiers, equipment manufacturers, engineering service providers and more. Aurora’s software is used by thousands of solar installers to precisely quote, design and sell solar projects, without visiting the site. With the solar industry forecasted to grow more than five times its current size over the next decade, Aurora will be the platform through which every new solar project is designed, sold, financed and serviced. 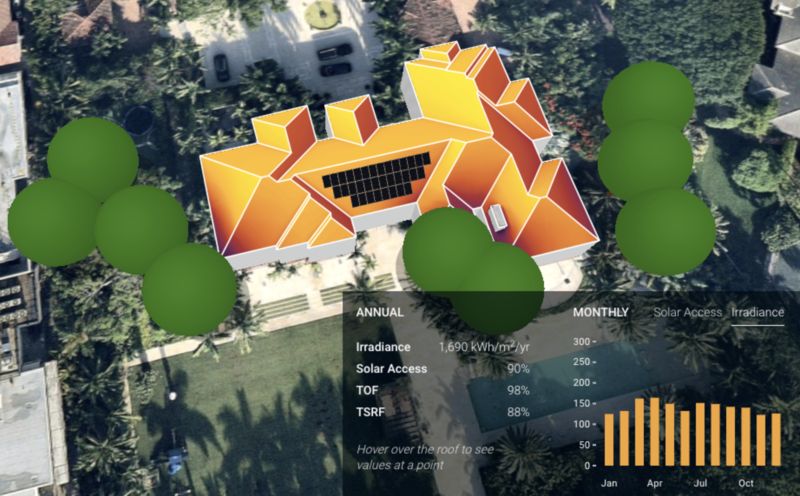 Metrics: More than 50,000 solar projects a month (totaling $3 billion in value) are created on the platform each month. More than 1,500,000 solar projects have been created in the company’s software, it says. Team: CEO/CTO: Christopher Hopper is a Stanford MBA and MEng from Imperial College; COO/CRO Samuel Adeyemo is a Stanford MBA/MSc and former portfolio manager for JPMorgan’s Chief Investment Office. Describes itself as: Thinknum creates data sets from a broad array of public online sources, capturing ephemeral information on the products, operating markets and labor markets of 400,000-plus global companies across sectors, and provides rich toolsets for extracting intelligence. Data sets include pricing trends for individual products at specific retailers, such as electronics and restaurant menu items, to hiring activity across macro industries and particular companies down to the location. 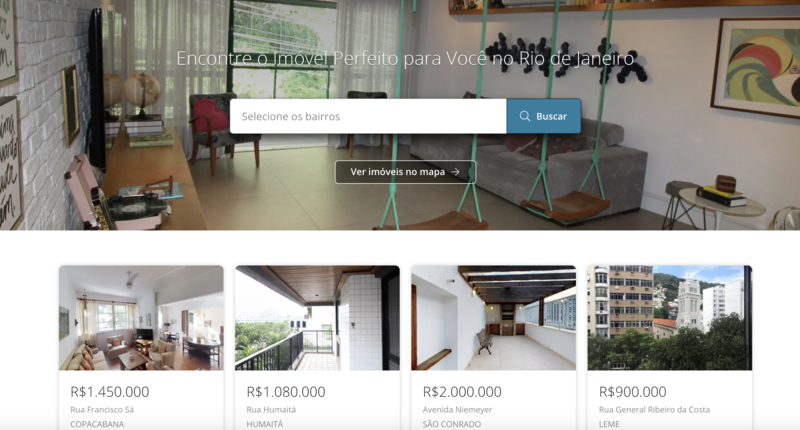 Describes itself as: EmCasa is the only brokerage in Brazil that offers 3D tours in the vast majority of its listings, helping buyers and sellers avoid unnecessary visits. Also, EmCasa is the only brokerage in Brazil that built a proprietary algorithm that offers online property valuations, better managing customer price expectations and providing more accurate listing recommendations. Finally, EmCasa is the only brokerage in Brazil that charges a 3 percent commission on full service, which is half of what other companies charge. Describes itself as: Zippin’s vision is to transform retail by banishing checkout lines and self-scanners for good using patent-pending AI, machine learning and sensor future technology. Its technology platform provides a checkout-free shopping experience for retailers looking for a solution rivaling Amazon Go’s approach. Team: CEO Krishna Motukuri has spent more than 20 years in retail and e-commerce, including with Amazon and Naspers. Chief Scientist Motilal Agrawal is a computer vision expert from SRI International, where he led and contributed to several products used by U.S. Defense and intelligence agencies. The company’s head of engineering, Abhinav Katiyar, previously spent more than 15 years with VMware.